In this digital age, where the exponential advancement in technology has completely revolutionized hospitality industry. Now more than ever, hoteliers need to stay abreast with the latest trends and technology to administer a successful hotel business. Additionally, investing in an all inclusive hotel management software could be a principle point for hotelier to enhance profitability. A Property Management System is extremely useful when automating day to day operations while ensuring that the guest experiences a delightful stay at the hotel. A smart hotel management solution can aid the hotelier to easily manage booking and reservation trends, room occupancy patterns and expedite hotel operations like housekeeping and reporting. In addition, an all in one PMS will be able to provide hotelier with a complete analysis of these information and help you strategize hotel operations to increase bookings and further expand the business. Although, finding the most accurate hotel software for your hotel can be tricky, if you are looking at the right place and asking the correct questions the task can be made easier. Below is a list of few questions to ask and scrutinize the hospitality solutions provider. 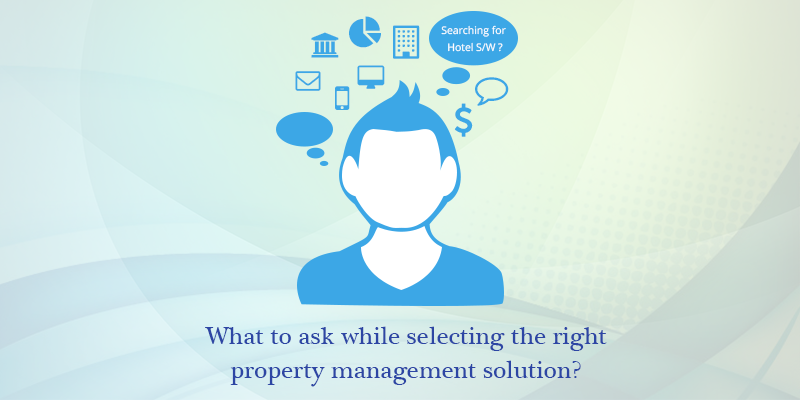 Investing in property management software is important to enhance work quality and increase business. Hence, it is vital to fathom the needs and requirements of your hotel and identifying what kind of software you need before purchasing the solution. Asking the below questions to yourself will help you to identify your hotel needs, and help you choose the most appropriate solution. How will the system help in automating day to day operations? Installing a PMS can help you automate numerous manual operations, making them smoother and faster. Check the features of the software carefully and understand how and which operations will be made easier by installing the system at your property. What will be your financial estimate? What are the goals you want to accomplish with the help of an automated PMS? Defining you expectations with the new PMS will help you acknowledge what sort of PMS do you need- a web based PMS or a desktop based one. Also this will help you strategize a quick ROI as well as your future business plan. By this stage, you have already decided what kind of solution you will require at your property. The next step is to source the best vendor for you solutions and once again you need to ask the right set of questions to the solutions provider/ vendor. Below are the list of questions that will help you select the right solution as well as help you acknowledge where to source it from. Does the PMS fulfill all your requirements or not? Make sure that the system you are purchasing actually includes and automates all the operations you require at your hotel. Don’t get confused with the jargon of the industry, verify that the services you are paying for are actually required for your property management. How will the PMS help resolve the hotel challenges and boost the revenue? An all inclusive PMS will reduce the cost of operations, decrease the consumed time and increase Revenue per Availabl (RevPAR). More over, the automated and detailed reports along with overall data analysis will further aid you to strategize future business plans. How many modules and features does the software include? Generally, hotel software are crammed with attractive yet not practical features, which do very little for your property but somehow blow up your budget way out of proportions. To avoid this, research appropriately if the software offers modular pricing. In this type of solution you pay only for the features and modules your property actually needs and uses. Who will be responsible for the security of your hotel data? The security of the data is one of the most important function you need to know about the solution you choose. Generally, desktop based property management solution store the database on a local server while a web best server store the hotel data on a dedicated online server provided by the solution provider. Does the HMS support third-party integration? If yes, which? No solution is self-sufficed, to expedite day – to day operations it is essential for your PMS to be able to interface with third party application like accounting software and key card locks. Make sure the solution you are adapting to, offers third party integration or are willing to establish an interface with the service you require. Is the software user friendly and will the hotel staff be able to understand the advanced system? A front desk hotel management system is detailed and comprehensive, and using it for the first time can be stressful. Check the training program of the solutions provider and inquire if the they offer on-site software training for the staff or free online training whenever required. How effective is the after sale support of the solution provider/ vendor? Your hotel is running 24×7, and you may require support at any time. Make sure the solution you choose offers 24×7 online and offline after sale support. You can even check the reviews of their existing client, this will help you understand the market position of the solution as well. In conclusion, make sure you acquire a software that serves all your needs and purposes. 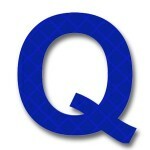 The queries raised above are few common inquiries to be cleared before obtaining the software. However, every hotel has their own set of needs and requirements; you can add your own questions based on your own experience and your hotel expectations.